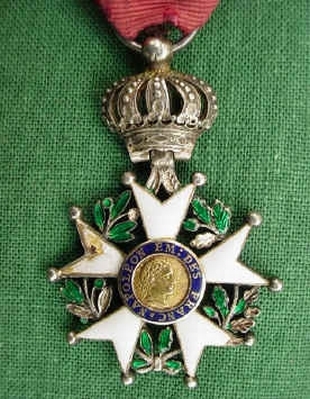 Napoleon Bonaparte established the Legion of Honor medal in 1802 to reward both soldiers and civilians for exceptional merit or bravery. (PORTLAND) - France's highest military honor will be presented to Bob Weiss, a World War II combat veteran on Saturday. 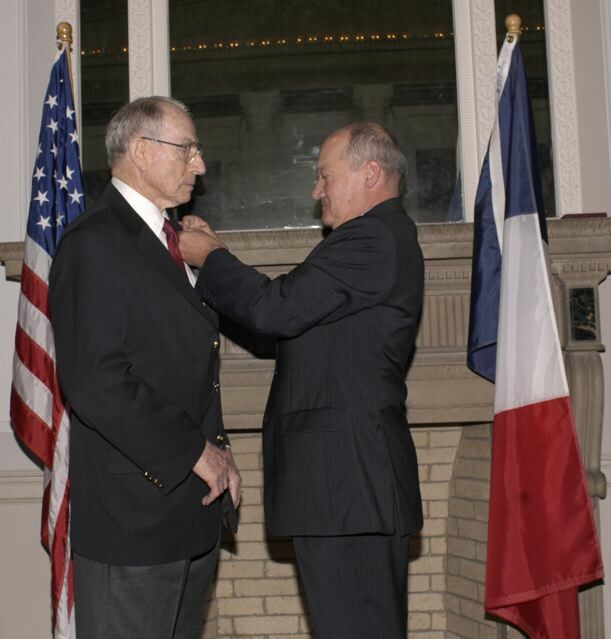 The Consul General of France, based in San Francisco, will present Weiss with the Legion d'Honneur, during a ceremony in the Fireside Room of the Governor Hotel, located at 614 SW 11th Avenue, near Alder Street, in Portland. The ceremony will begin at 5:30 PM. A retired attorney, Weiss, 84, has lived in Portland for nearly 60 years. He served in the 230th Field Artillery Battalion of the 30th Infantry Division in the liberation of France, the Battle of the Bulge and the fight across Belgium, Holland and Germany. As a young second lieutenant and a field artillery forward observer, Weiss was trapped with the 2nd Battalion, 120th Infantry Regiment when the Germans launched their biggest counterattack in France during the Battle of Mortain in southern Normandy. For six days the battalion resisted the German onslaught, fighting for survival without adequate food, water, medical supplies or ammunition. A massive artillery defense, much of which was launched or directed by Weiss, has been credited with saving the battalion. "One of the things I learned from the battle experience at Mortain is that determined men, sometimes a few or even one man, can make a difference in the lives of others. It was at Yorktown in 1781 when brave French soldiers and sailors made Washington's victory possible and almost two centuries later, Eisenhower and the American G.I. liberated France," Weiss said. "The history of cooperation and friendship between our two countries is a long and continuous one. The award of the Legion of Honor surely reflects that. I am pleased, honored and humbled to receive it." Napoleon Bonaparte established the Legion of Honor medal in 1802 to reward both soldiers and civilians for exceptional merit or bravery. Napoleon expressed his desire to reward men both for outstanding military accomplishments and for other distinguished service to the State. As a veteran of the liberation of France, Weiss is eligible to receive the honor from the French government. In 2006, Weiss responded to a news article stating that the French government would be issuing the awards to those who presented a copy of their military records. Consul General Frédéric Desagneaux will officially present the medal to Weiss with the assistance of Brigadier General Ray Byrne, Commander, 41st Infantry Brigade Combat Team, Oregon Army National Guard. Representing the Oregon Department of Veterans' Affairs will be Val Conley, Veteran's Services Administrator. about WWII. The thing that makes the book compelling is the material that I found at the National Archives, some of which is reprinted in the book. This material gives authenticity to what would otherwise have been just a memoir. The above award photo was taken On March 17, 2007 (St. Patrick's Day) in Portland, Oregon. The consul general is M. Frédéric Desagneaux from San Francisco.